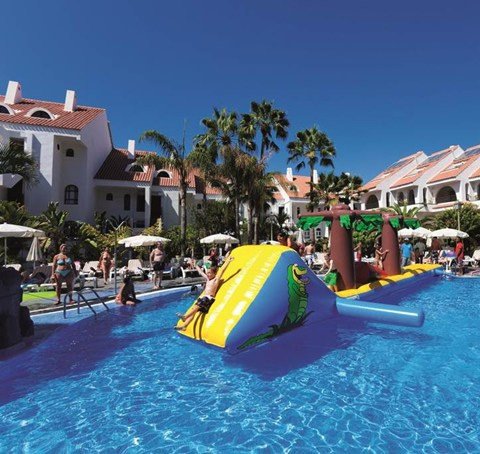 The very popular Paradise Park is an impressive 4 *hotel with a good location in an elevated position overlooking the ocean in the resort of Los Cristianos. The Paradise Park Tenerife provides a wide range of facilities and has an enviable reputation for high standards of service making it the ideal choice for guests wanting that relaxed, care-free holiday. The hotel is located only 16 kilometers from Tenerife’s southern airport Reina Sofia (TFS) and 85 kilometers from the Tenerife North Airport. 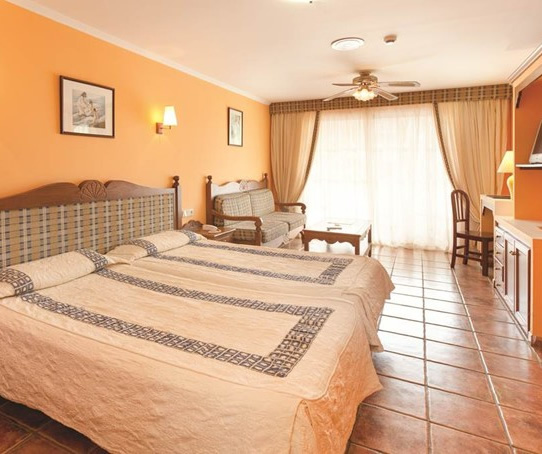 The Paradise Park Los Cristianos has a range of well equipped twin bedded rooms and are fitted with a mini bar, telephone, satellite TV and air-conditioning. Bathrooms have shower/bath and WC. All the rooms have private balcony or terrace and room service. Junior suites and single rooms are available (please ask our travel advisor for a quote). In addition the hotel has several fully renovated rooms that are ideal for families with a little lounge and separate bedroom and kitchenette. The hotel offers a choice of board arrangements, bed and breakfast, half board, full board, all inclusive and all inclusive Plus. There is an excellent choice of bars and restaurants. For main meals there are two restaurants offering a wide choice of international cuisine ensuring there is something for every taste and for a light bite during the day guest have a choice of three pool bars. There are also two bars within the complex where you can enjoy a cocktail or after dinner drink. The hotel has an impressive pool area, along with large sun terraces, well equipped with sun loungers and shades for those balmy days taking in the warm Tenerife sunshine. If you want to get even nearer the sun why not plump for the seclusion of the roof top heated pool, or for something different try out the hydro massage beds in the lagoon pool! The hotel alsp provides an air-conditioned gym with cardio fitness training equipment and free weights area (minimum age 16yrs). The hotel offers a wide variety of sports facilities plus a day time and evening entertainment programme for both children and adults. The hotel also offers 24 hour reception, conference facilities, laundry service, hairdresser, a gift and souvenir shop, doctors and courtesy bus to the beach. 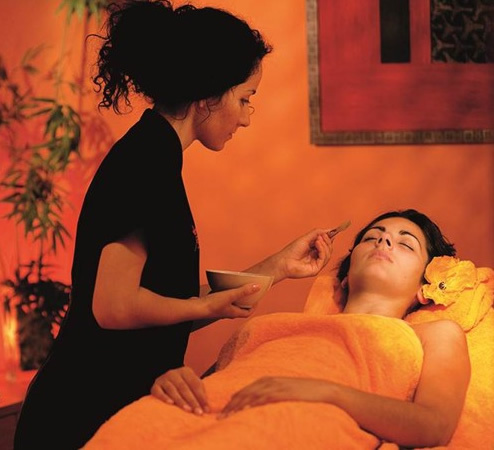 If you like to completely unwind on your holiday then the hotel’s Spa is just the place for you! Deep relaxation treatments and massages are available, plus classes like pilates and yoga make the spa area a haven of peace and tranquility. There is a treatment room for couples, Jacuzzi, sauna, and vapour rooms.